Being involved in a car accident can result in serious injuries. Anyone who has been in this situation knows how stressful it is. You may unable to work or perform normal daily tasks. The most important factor to your recovery is to get help as soon as possible. To get immediate auto injury treatment in Centennial CO, call our office at (303) 694-1245. Can Chiropractic Even Help With an Auto Injury? There is documented evidence that chiropractors can provide pain relief and restore function after an auto injury. Visit the Palmer College of Chiropractic to read how a chiropractor can help you after a car accident. Where Can I go for Auto Injury Treatment in Centennial, CO? Let the healthcare specialists at Heritage Health help. We have been working with auto injury treatment in Centennial, CO for many years and have the experience and expertise necessary to treat your injuries. How Does Heritage Health Begin Auto Injury Treatment? Our on-site Digital X-Ray allows us to diagnose your injuries accurately on the first visit and provides us with immediate results. We can determine if you have whiplash and other soft tissue injuries or if there is a more serious injury. If you have a soft tissue injury, a sprain/strain, whiplash, sciatica, muscle spasms, or a pinched nerve, we will be able to start treatment on your first visit. What Kinds of Therapy are Available to Treat my Auto Injury Treatment in Centennial CO ? The combination of treatments available at Heritage Health can begin to provide symptom relief almost immediately. Chiropractic is very effective for pinched nerves and misaligned vertebra that can occur with any accident. 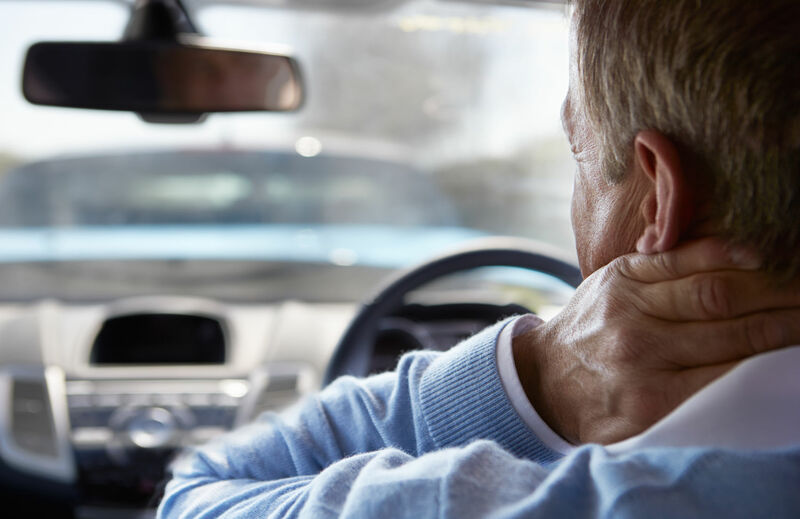 Physical Therapy and Massage Therapy can address the muscle spasms and range of motion restrictions that commonly occur following a car accident. Dry Needling can also help by alleviating severe pain and decreasing stiffness. The holistic approach available at Heritage Health will get you back on your feet, allowing you to return to your life as quickly as possible. What if I Need More Help Than Your Centennial Chiropractic Office Can Provide to Relieve My Auto Accident Injury? If your injury is beyond our scope of practice, we can refer you to an orthopedic doctor, neurologist, or surgeon to get the help that you need. How do I Pay for My Auto Injury Treatment in Centennial, CO? Treatment for auto accidents can be done through med pay coverage, medical liens, and other options. Our on-staff billing manager will coordinate all this for you, and if you need an attorney, we can even recommend one for you. The process of dealing with injuries from a car accident can be very time consuming and confusing. Let the staff at Heritage Health help guide you through the process of auto injury treatment in Centennial CO, so that you can focus on what is most important- healing from your injuries and feeling better! What’s the Next Step to Relieve Pain from My Car Accident Injury? Please contact Heritage Health at (303) 694-1245 if you have been in an automobile accident and need treatment. We do our best to accommodate all patients, and many times, we can get you in for an appointment the same day. If you need auto injury treatment in Centennial CO, we are here to help. Call us today!